2 years ago I had a chance to visit Saijo and do a sake brewery tour. I was adamant on visiting as many as I could, but only managed to visit half of them. This time, I was hell bent on visiting all of them and doing real research. My next book will be about sake, but I do have another book that is being planned with a co-author. I was planning to do a 3 city sake book about the 3 historical cities for sake: Fushimi, Kyoto; Nada, Kobe; Saijo, Hiroshima. I pared it down due to logistics and money and Saijo was the one that I wanted to do. I set about planning to visit the breweries and just talk with the people there. It wasn’t too special but it was not very easy either. Saijo is a small area and the shops can be difficult to visit as they look closed sometimes. They don’t have the manpower to keep people there all the time to help tourists but they do their best with what they have. I still gush about Saijo sake and can’t wait till I’m there again. Last time, I visited only half of the breweries in the Saijo area. The other breweries were either closed or I didn’t know how to contact them at the time. This time I had the luxury of having my friend join me who is from Japan so he could read the information. There is also the “safety in numbers” idea where if you are in a group, no matter how small, you are willing to try things that you normally wouldn’t. Add the “coat of invincibility” that comes with sampling sake and you have a couple guys going around and having fun visiting all of the breweries. The entire trip was supposed to be two full days but I was able to visit almost all of the breweries in a single day. I had trouble with a couple but next time I won’t have that problem as I know what to do. Within my book, I’ll have all of that information so you don’t have to worry about it and you will also be able to visit all of the breweries within a single day and enjoy sampling sake. 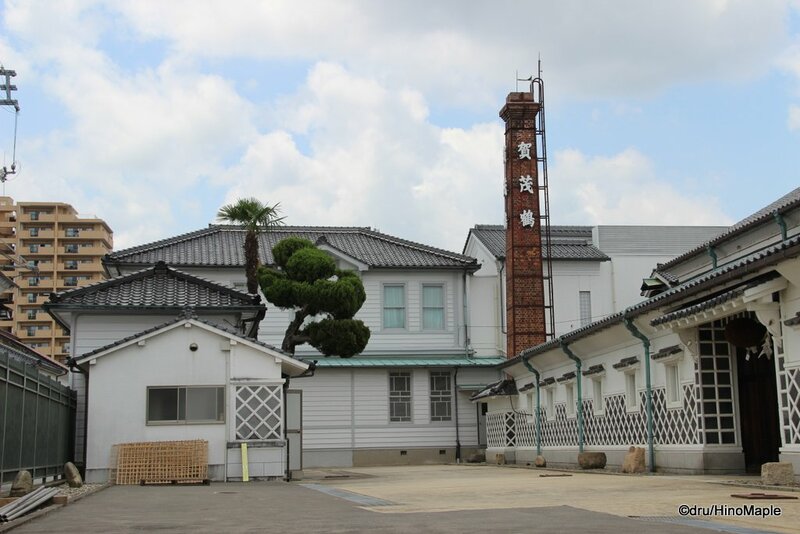 In total, there are 8 Saijo sake breweries, plus an extra one that is a 30 minute bus ride away, but they don’t consider themselves as part of the Saijo sake breweries. 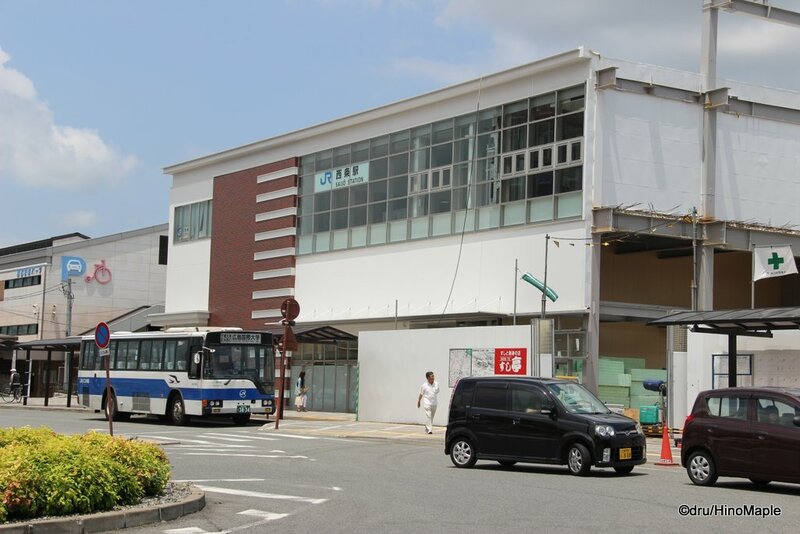 The 8 Saijo breweries are split into 2 areas around the station. All of the breweries are located on the south side of the station and it all depends on whether you head east or west. There are 6 breweries located to the east and 2 to the west. Most people visit the breweries in the east and head back to Hiroshima, but for enthusiasts, heading to the west is a must as well. You can meet a lot of fun people and while their English skills are not very good, they are happy to talk to you in Japanese, and they are willing to help you as much as possible in English but they tend to shy away from speaking English. 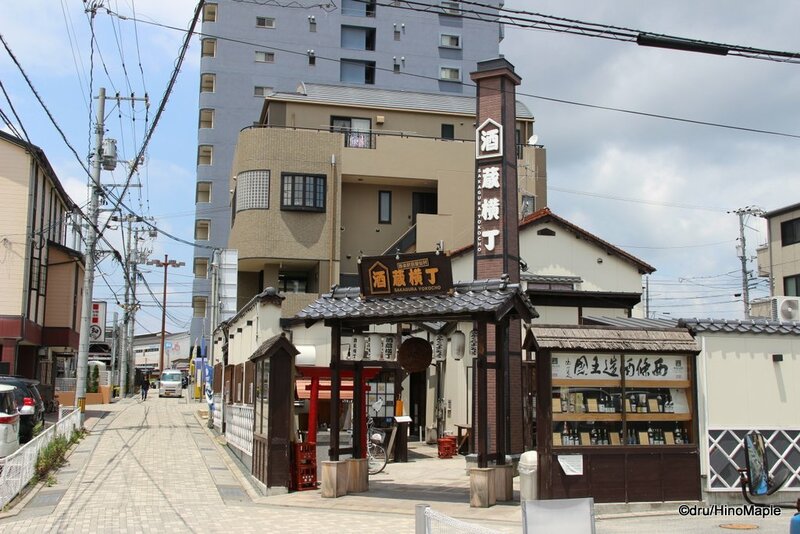 The breweries are almost all centered along the main sake brewery street; starting from the station, head south and at the first light turn left or right. If you turn right, you head west to the far end where you can visit Sanyotsuru and Kamoki. 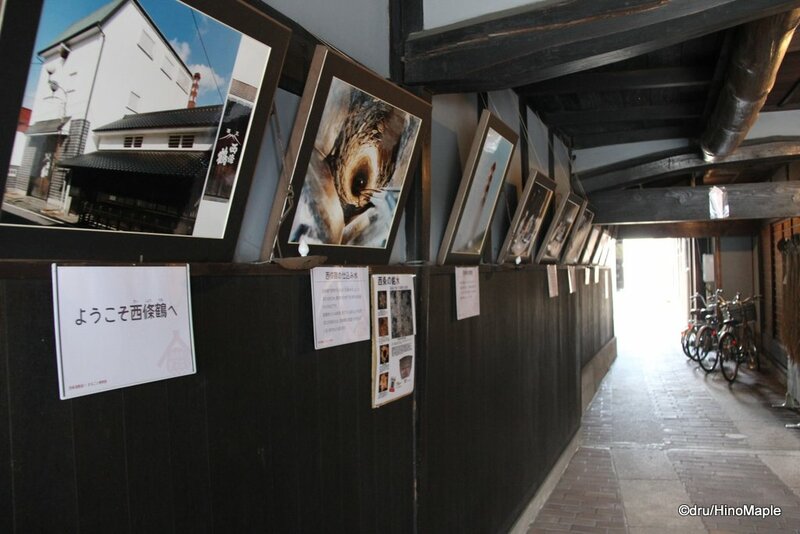 Because of their location, they are the least visited sake breweries in the area. Kamoki was a little intimidating to enter at first and once you enter their tasting area, you still feel a little intimidated. The first time I visited Kamoki, I was too scared to find out where to go, but on my second time I somehow knew where to go. There is a little cafe inside, to the right as you enter the courtyard, and inside you can do tastings. It is not setup really well but the atmosphere in the old building is very pleasant. Sanyotsuru is a lot harder to find. It is located on the main street but outside there are no real signs. It is located with a restaurant and while the sign advertises the restaurant hours, and the tasting room is dark, it is open. You just have to shout out for help and someone will help you try the different sakes. It was a lot of fun to visit Sanyotsuru and would love to go back again. 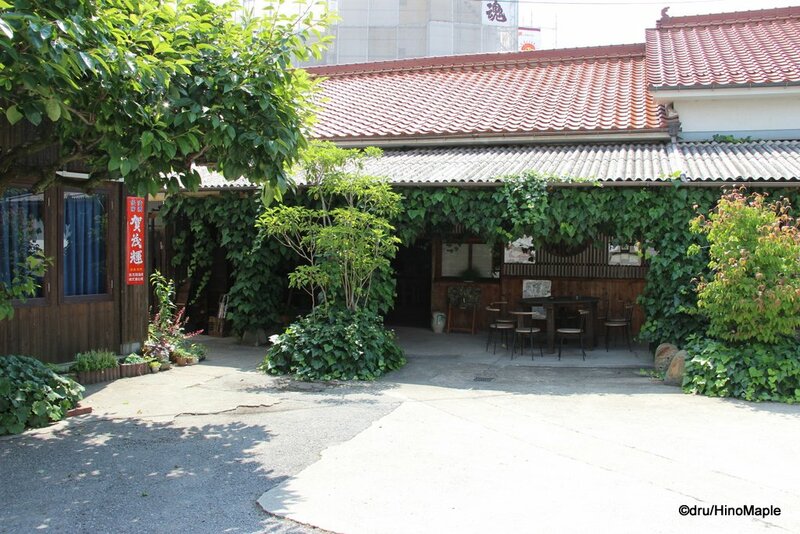 The east side of town is where you’ll find the largest brewer in Saijo, Kamotsuru. It was my favourite in the town but after meeting some of the fun personalities of the other breweries, I changed my mind. I enjoy the sake a lot but having a fun friendly face to chat with makes a huge difference. Kamotsuru is a bit corporate but the older gentleman there was really kind and helpful. Fukubijin was a little difficult to visit at first as they didn’t have anyone there. I happened to go during the lunch break but when I returned later in the day it was easy to get help. It may be difficult to get help at times but they do try their best. Kamoizumi is probably one of the stranger breweries. They are open on weekdays but on weekends they close and their shop at the Shusenkan, an old historical building, is opened to sell their sake. When I was at Kamoizumi, I lingered a little until one of the workers came around and helped us. We had some good sake and I really enjoyed it. When I returned on the weekend and visited the shop, it felt more like a regular retail sales shop rather than a homey area. Visiting on the weekday is a lot better than the weekend, although visiting both are important. The next brewery to visit would be Kirei. They play on the name with the first kanji meaning turtle and the second meaning age, but read together it becomes Kirei, or beautiful. The shop in Kirei is nice and open and they also have ice cream. They tend to be more active in promoting the turtle image and while the sake is not bad, I was not particularly impressed by it. Hakubotan was next and it was a small corporate brewery. They don’t have many people on hand and they don’t officially have tastings but the woman who did welcome us did offer tastings to us. It was a unique situation as we travelled from far away. Unfortunately they didn’t have many varieties of sake to taste but they did have a good variety of drinks on hand. Across the street from Hakubotan is Saijotsuru. Saijotsuru is a small shop that is essentially a small room with a small display of sake. Sometimes there is someone there but sometimes you do have to call for someone. Tastings are available and there are seats to relax a little if you need to. They have some of the best sake in Saijo but this is all personal preference. If you enjoy softer flavours, this is a good one to have. Saijo is a great place to be and I enjoy visiting Saijo often. I would highly recommend going if you have a chance. 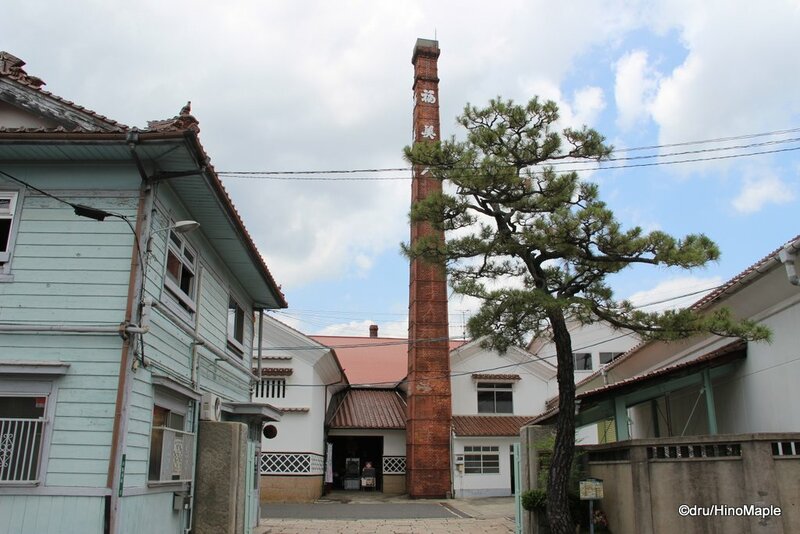 There is a lot more to Saijo than just the breweries but for this alcoholic, it is tough to do anything but visit the breweries. If you only have time to visit the breweries, it isn’t a problem, but if you do have more time, there is a lot to see and enjoy such as the old architecture or just the small town friendliness that you just can’t get anywhere else. I will continue to write more about each brewery and my personal experience for each on in its own post. Keep an eye out for it. 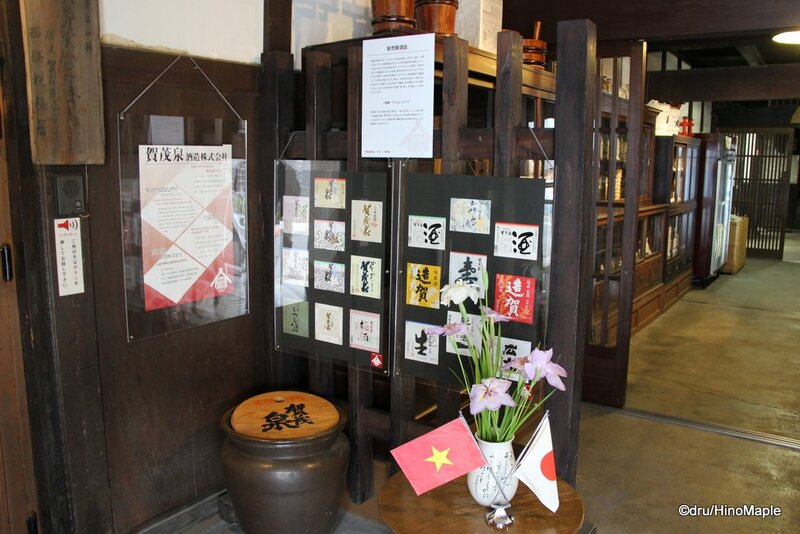 This entry was posted in Chugoku and tagged brewery, Fukubijin, Hakubotan, Higashi-Hiroshima, Hiroshima, japan, Kamoizumi, Kamoki, Kamotsuru, Kirei, nihonshu, Nihonshu Brewery, Saijo, Saijotsuru, sake, sake brewery, Sanyotsuru, Shusenkan by Dru. Bookmark the permalink.